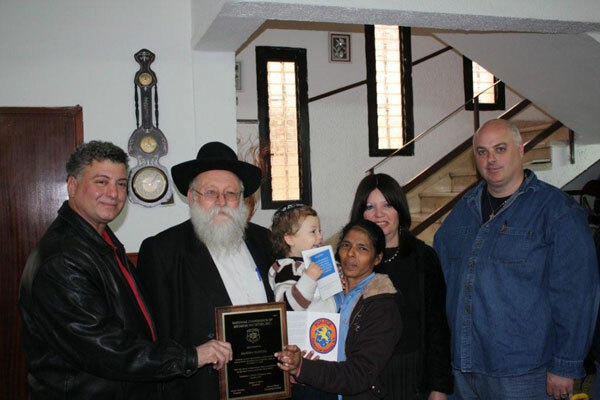 President Sam Miller and Brian presenting plaque to Rabbi Shimon & Yehudit Rozenberg parents of Rivka Holtzberg along with Moshie the son of Rabbi Gaviel and Rivka Holzberg, who were murdered in the Chabad House in Mumbai, India who are joined by the heroic babysiter who saved the life of Moshie and Brian Reily NYPD Holy Name Society. 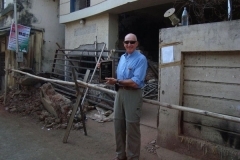 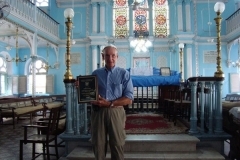 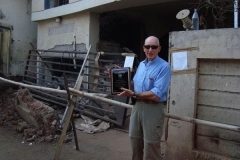 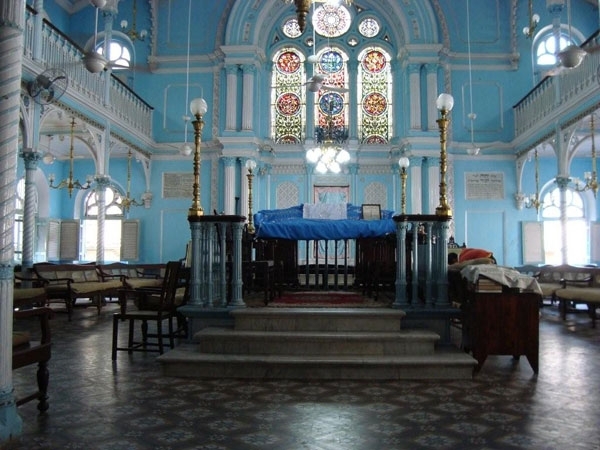 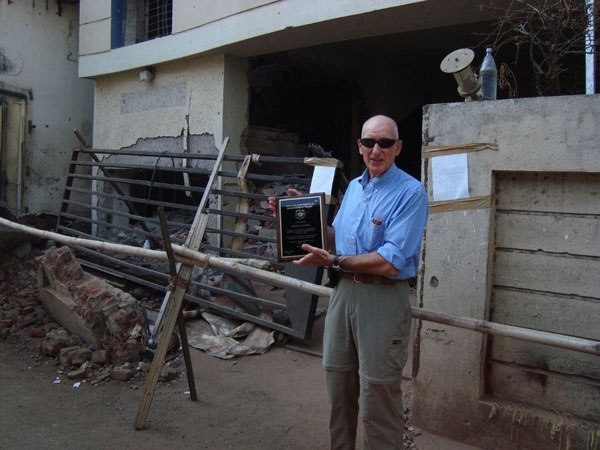 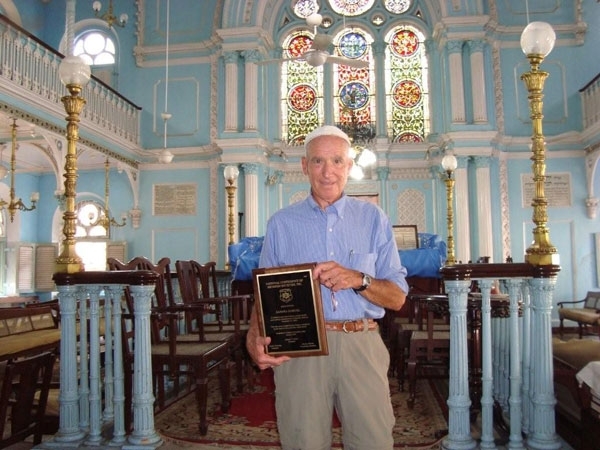 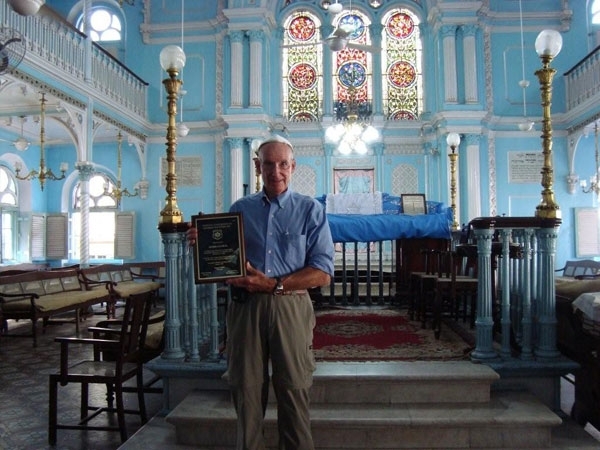 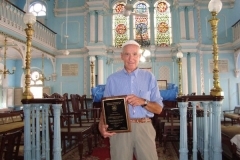 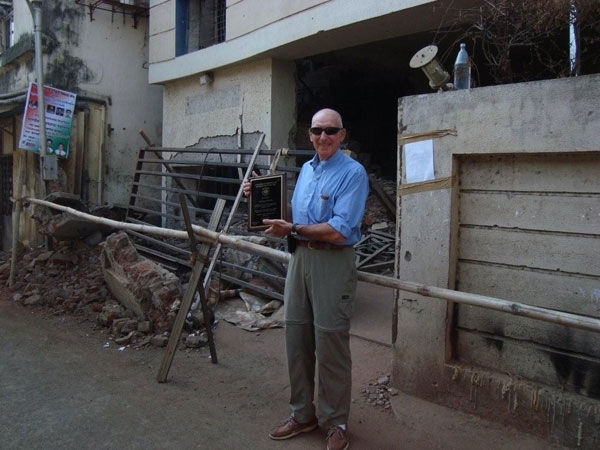 Brother Martin Turetzky at Keneseth Eliyahoo Synagogue Mumbai India. 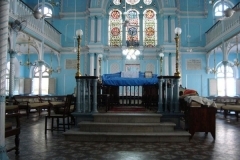 Site of deadly attack.